"I've been using Flux for about 3 months now and I love it. It's really reliable and everything comes nicely packaged - they even address the box personally to you!" We're passionate about empowering women and improving access to menstrual hygiene for vulnerable women and girls throughout the world. So, we donate a portion of all our profit to help women's charities. "The Flux delivery service is brilliant as it removes (a very important) piece of life admin from my hectic schedule. Everyone loves receiving a parcel, and knowing that this is one thing that doesn't have to be on the list is great." With Flux, you'll never need to make a midnight dash to the supermarket, find room to store multipacks or make do with the wrong absorbencies ever again. Feel free to thank us at any time. The right combination of pads, tampons and liners for you, from only £3.50 per month. 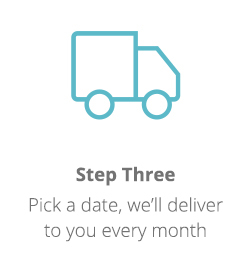 You can choose your ideal monthly delivery date when you sign up, and easily change it any time. Includes a pack of items 'For Now', to put straight into your bag so you're prepared. 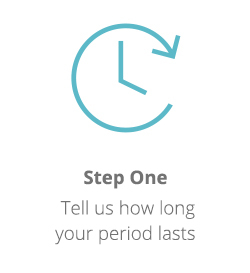 We're flexible Commitment-phobes can pause or cancel at any time (we promise you won't see us cry). Have a stalk of our social channels!